Andrea Jenkins hugs a supporter as she won the Minneapolis Ward 8: Council Member race in Minneapolis on Tuesday, Nov. 7, 2017. 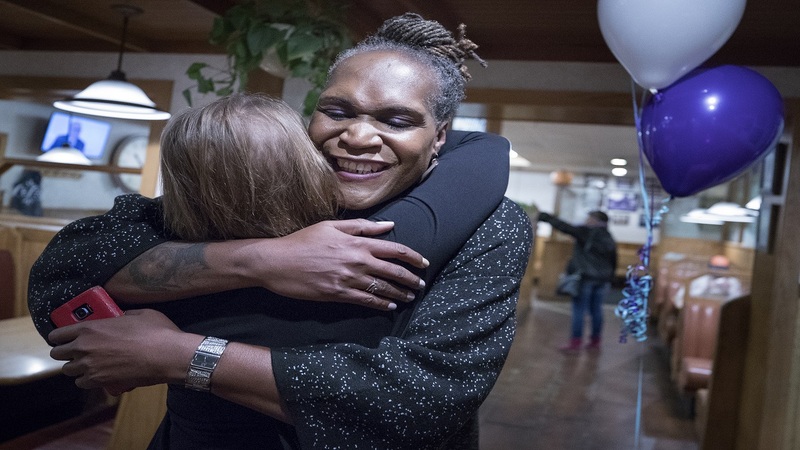 Minneapolis has elected a black transgender woman to its city council, another national first in what advocacy groups have described as a banner night for transgender people in public office. Andrea Jenkins easily won the race Tuesday for an open seat in south Minneapolis, with roughly 73 percent of the vote. Jenkins, a 56-year-old poet and historian who transitioned in her 30s, spent years as a policy aide to two previous council members in the same ward. She won the same night that Danica Roem became the nation's first openly transgender state lawmaker by winning a Virginia statehouse seat. 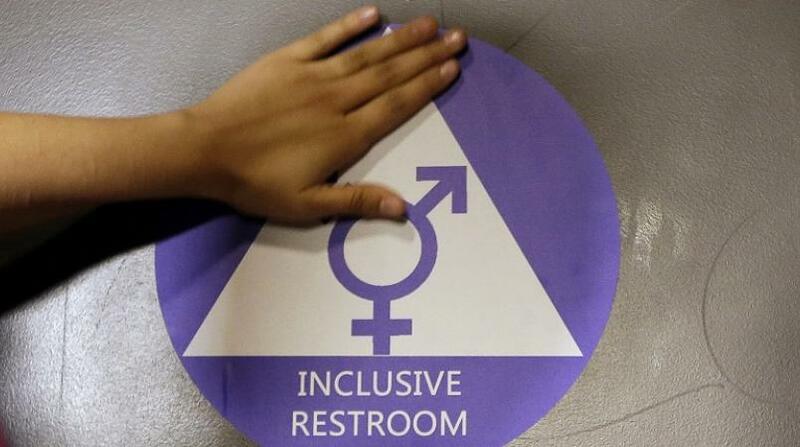 Roem soundly defeated Bob Marshall, a longtime Republican delegate who sponsored legislation that would have restricted transgender bathroom use and who called himself the state's "chief homophobe." Jenkins was not immediately available for comment. Victory Fund, a group that advocates for LGBT candidates, called Jenkins the first openly transgender woman elected to the city council of a major U.S. city. 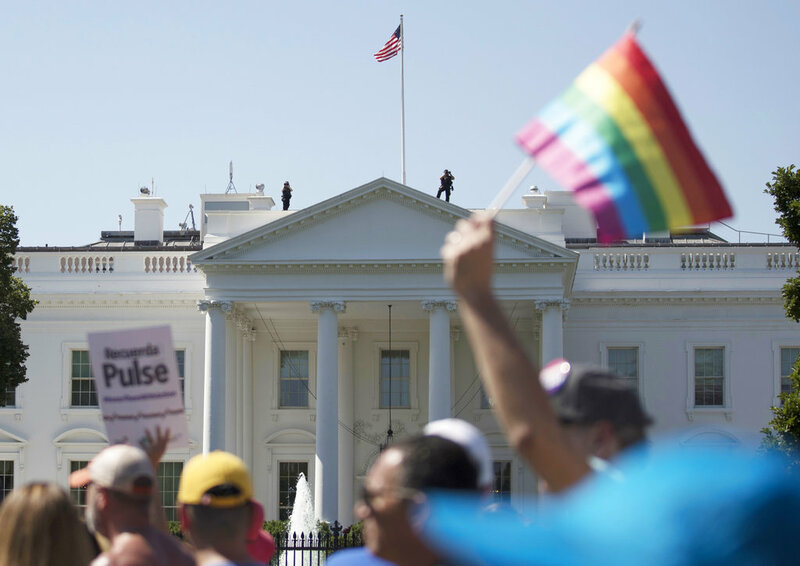 "Americans are growing increasingly aware of trans equality and people, and this win will surely inspire other trans people to run for office and further inclusion in their communities," group president Aisha Moodie-Mills said in a statement. Jenkins' victory set a new bar for transgender politicians in a region where the community has been visible for decades. In neighboring St. Paul, Susan Kimberly ran unsuccessfully for a second term on the city council in the '90s after serving a single term starting in 1974 — then as Bob Sylvester. She also unsuccessfully ran for the local county commission, but was later chosen by then-mayor Norm Coleman, a Republican, to serve as St. Paul's deputy mayor. And Jenkins wasn't the only person on the ballot in Minneapolis Tuesday. Phillipe Cunningham ran to unseat the city's longtime council president. The results of that election were still too close to call Wednesday morning, due to Minneapolis' instant-runoff voting system.